Today’s feature is the horror flick 976-EVIL: the directorial debut of Robert Englund, who is widely recognized for his role as Freddy Krueger from the A Nightmare On Elm Street franchise. 976-EVIL was written by the duo of Brian Helgeland (Mystic River, The Postman, L.A. Confidential) and Rhet Topham, whose only other theatrical credit was Trick or Treat. As mentioned, 976-EVIL was the directorial debut of Robert Englund. Outside of the A Nightmare On Elm Street franchise, Englund has also featured in movies like Wishmaster, The Mangler, The Adventures of Ford Fairlane, Python, and Lake Placid vs. Anaconda. The cinematographer for the film was Paul Elliott, who shot Friday the 13th Part VII, My Girl, and did camera work on movies like True Grit, No Country For Old Men, Trick Or Treat, Humanoids From The Deep, and Legion. The editor for 976-EVIL was Stephen Myers, whose other credits include the documentary The Pixar Story, the Hulk Hogan holiday flick Santa With Muscles, and Sometimes They Come Back…Again. 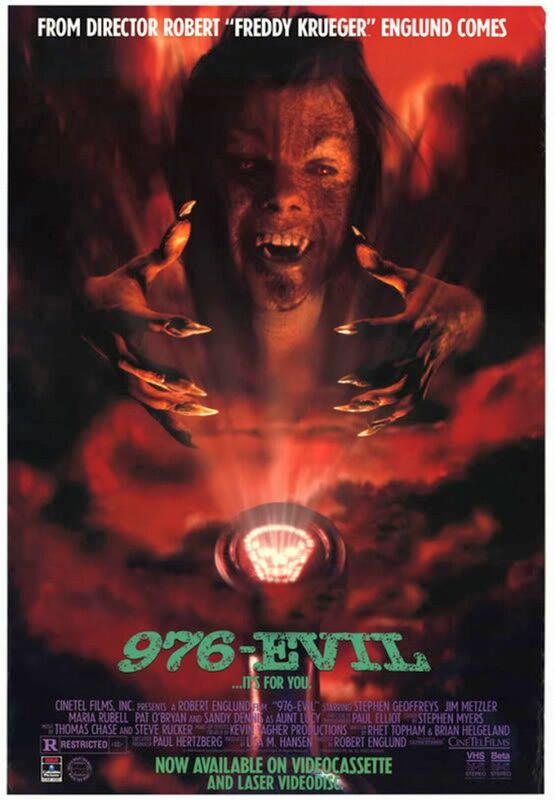 976-EVIL had two credited producers: Lisa Hansen (Scorcher, 976-EVIL II) and Paul Hertzberg (Hotel Erotica). The musical score for the film was provided by the duo of Steve Rucker and Thomas Chase, who are best known for working on cartoons like Dexter’s Laboratory and The Powerpuff Girls. The effects work for 976-EVIL was done by a team that included Marcus Tate (Darkman, UHF), William Mesa (Death To Smoochy, Red Planet, Deep Blue Sea), Tim Donahue (Timecop, Deep Blue Sea), Hal Miles (Leprechaun 4, Communion, Leviathan), Howard Berger (Intruder, People Under The Stairs, Maniac Cop 3, Vampires, The Faculty), Robert Kurtzman (It Follows, From Dusk Till Dawn 3, From Dusk Till Dawn 2, Ghosts of Mars), Kevin Yagher (A Nightmare On Elm Street 2, The Dentist, Trick or Treat, Children of the Corn III), Christopher Swift (Congo), Grant Arndt (Leviathan, Hell Comes To Frogtown, Pumpkinhead), Gino Crognale (DeepStar Six, From Beyond, Troll, Texas Chainsaw Massacre 2), Rick Lalonde (Son Of The Mask, Child’s Play), Larry Odien (Legion, Space Truckers, Captain America, The Pit and The Pendulum), and Zandra Platzek (Masters of the Universe). The cast of the film includes Stephen Geoffreys (Fright Night), Patrick O’Bryan (No Holds Barred), Sandy Dennis (Who’s Afraid of Virgina Woolf? ), Jim Metzler (Hot to Trot, Children of the Corn III), J.J. Cohen (Almost Famous), and Paul Willson (Office Space). 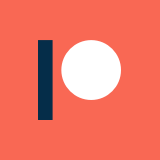 The plot of 976-EVIL centers around an oft-bullied high school nerd, who calls a hot line that promises to end the peer bullying that he constantly faces. 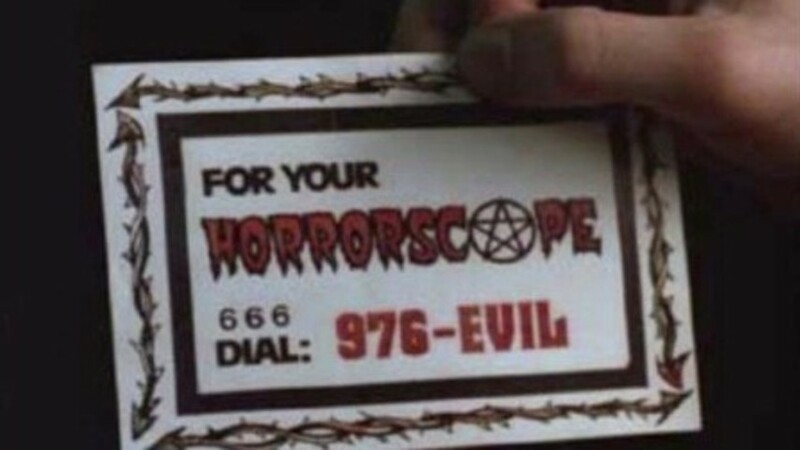 However, this hot line is actually run by Satan, who grants the nerd supernatural powers to take revenge on his bullies. 976-EVIL ultimately grossed just under $3 million on an unreported budget. While that was hardly impressive, the movie did wind up getting a direct to video sequel in 1992: 976-EVIL II: The Astral Factor, which was directed by Chopping Mall‘s Jim Wynorski. The reception to the film was overwhelmingly negative: it currently holds a 5.0 rating on IMDb, along with Rotten Tomatoes aggregate scores of 9% from critics and 28% from audiences. Right out of the gate, the premise behind 976-EVIL is more than a little bit ridiculous. A demonic hot line would be all fine and good if this movie were written as more of a horror-comedy, but it just doesn’t quite nail that balance. The screenplay never brings the laughs or the scares adequately, and comes off more or less like one of the later (and lesser) A Nightmare On Elm Street movies as a result. Speaking of which, one of the few positive aspects of those later Nightmare movies are the effects, which at times carry them. 976-EVIL, unfortunately, doesn’t have the impressive level of gore and makeup that those movies could provide, which means there isn’t a whole lot to distract from the other weaknesses of the movie. On the positive side, the movie generally looks decent (outside of the effects). The production design and cinematography are both on point for this kind of flick, but they aren’t nearly enough to carry it when all is said and done. Without startling effects, well-written jokes/scares, or a stand-out performance, good shooting and design isn’t enough to pull the movie through. Personally, I think most of the value of 976-EVIL comes from the novelty of it being directed by Robert Englund. I can see why some people like it well enough, but I don’t think anyone out there really loves this movie. Best case scenario, this is a mediocre horror film. However, I would recommend it to anyone who appreciates a kick of nostalgia, because it offers plenty of that to go around. For some other thoughts on 976-EVIL, I recommend checking out the coverage by Film Connoisseur for a more-or-less positive spin, and We Hate Movies for some comparatively less-than-charitable opinions.